Let us now travel three months back, to when I first attempted to visit Fort Delaware in May, before the ferry was operating for the season. I was able to visit Fort DuPont, the companion piece to Fort Mott that was built on the Delaware side of the river in 1899. 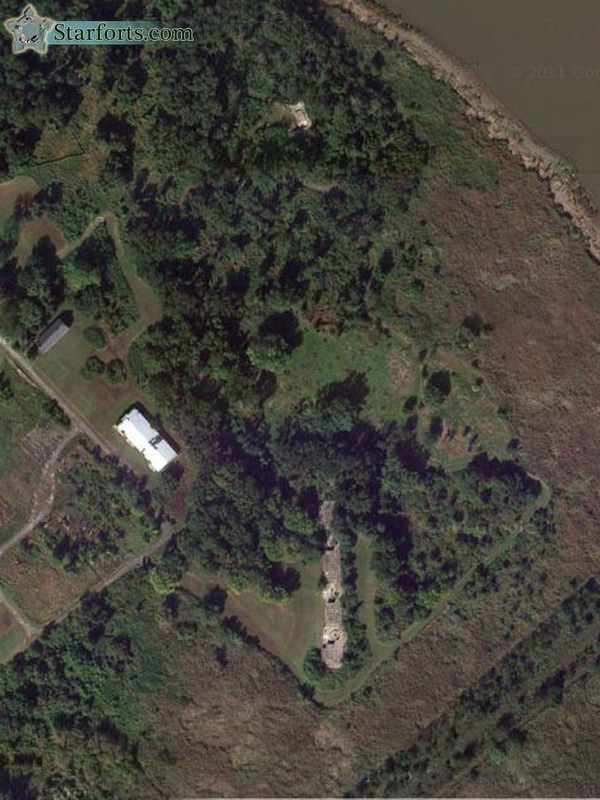 When I visited I didn't have this satellite view with me, so it was by mere chance that I stumbled upon Batteries Read, Gibson and Samuel Elder as I scampered along a lovely nature trail.